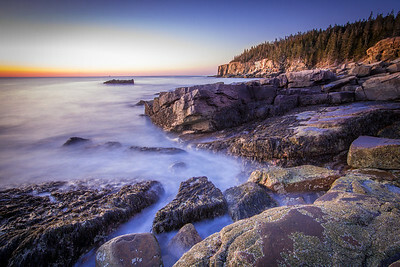 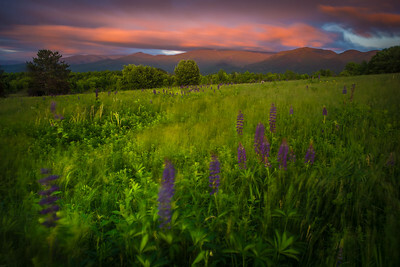 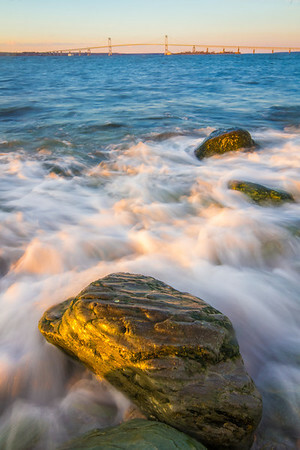 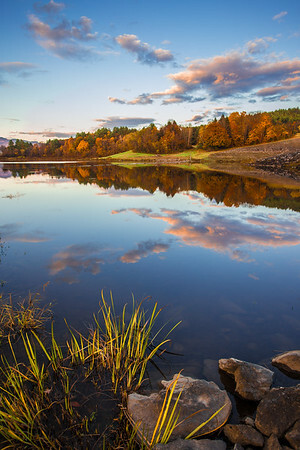 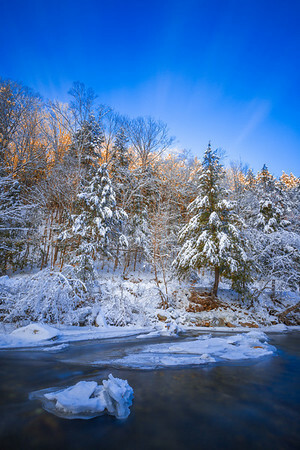 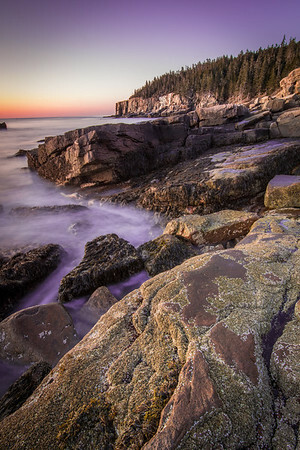 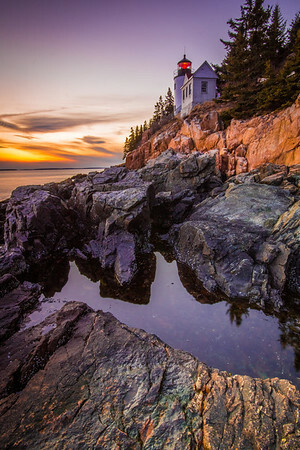 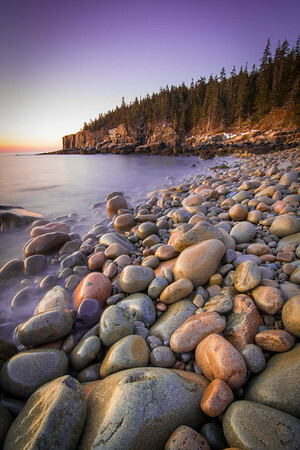 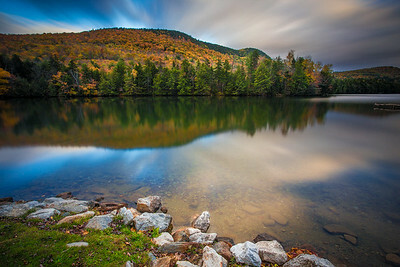 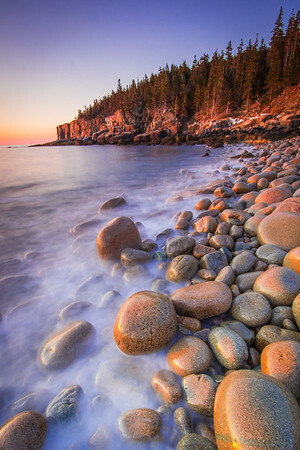 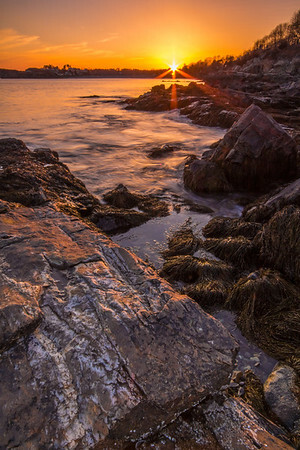 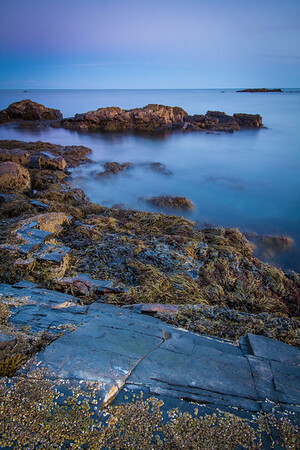 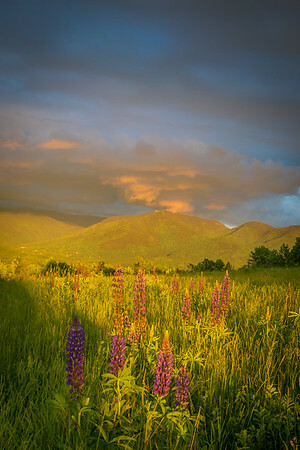 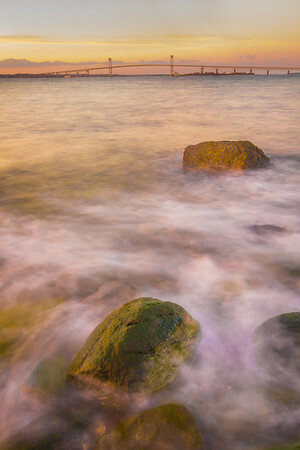 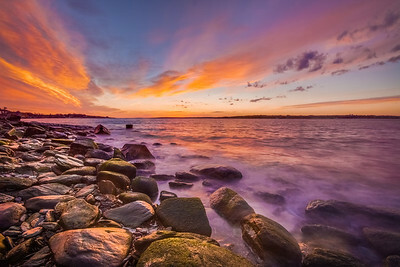 Fine Art Landscape Prints of Maine, Vermont, and New Hampshire, available in ready-to-hang wall art, matted prints, or loose prints in several standard sizes. 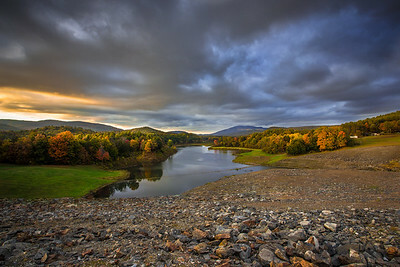 Early autumnal sunset at one of my favorite spots in the region. 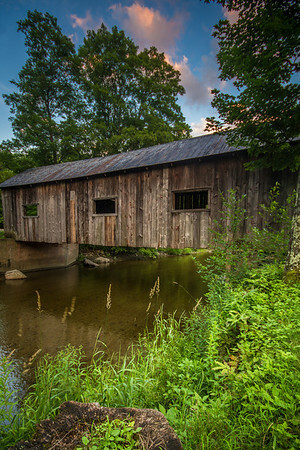 North Springfield, Vermont. 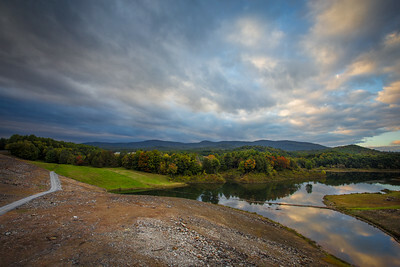 This was taken at the North Springfield dam, facing away from the reservoir, on a perfect autumn evening full of color. 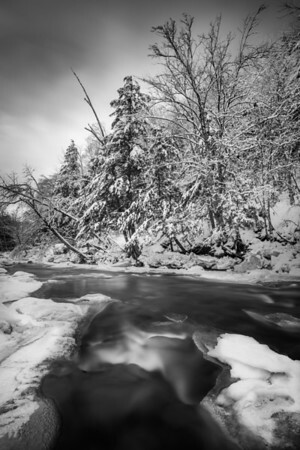 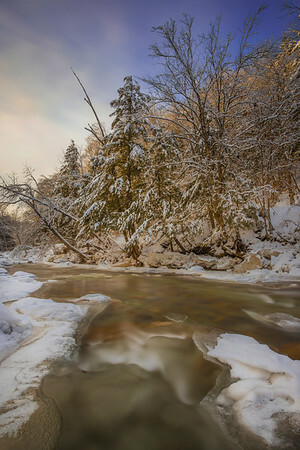 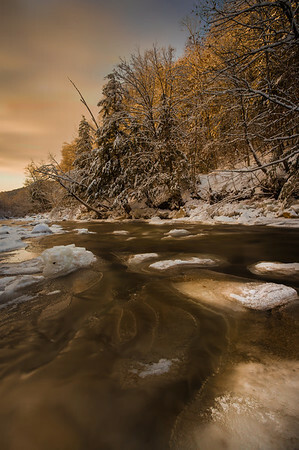 A very long exposure during a beautiful winter blue hour looking upstream in the Saxtons River somewhere between Grafton and Cambridgeport, Vermont. 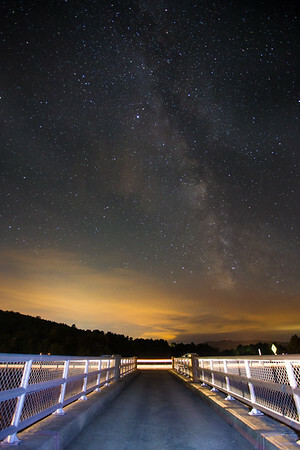 Taken on the same September evening that I photographed the aurora borealis at the North Springfield Dam and Reservoir, this image depicts the Milky Way taken at 180 degrees opposite the northern light show. 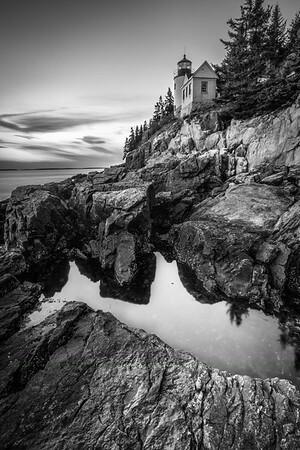 The iconic lighthouse in the incomparable Acadia National Park, Maine, in striking black and white tones. 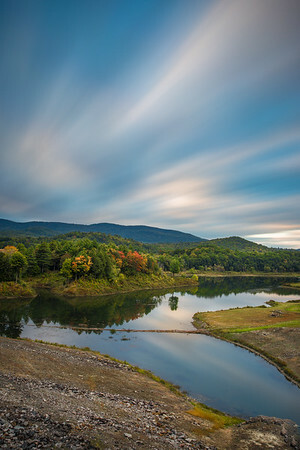 This long exposure photograph captures several minutes of light, with clouds streaking across the sky above the North Springfield Reservoir in the early autumn. 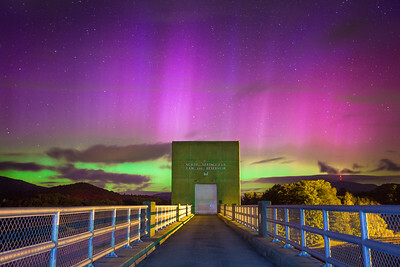 The aurora borealis was visible in several places in Vermont on this beautiful September evening. 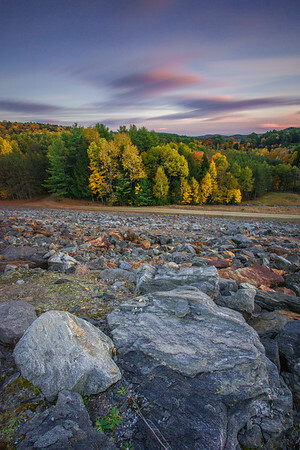 This was taken at the North Springfield Dam and Reservoir during a short window when the colors were visible to the naked eye, enhanced by a long exposure to soak in all the light and color the aurora had to offer. 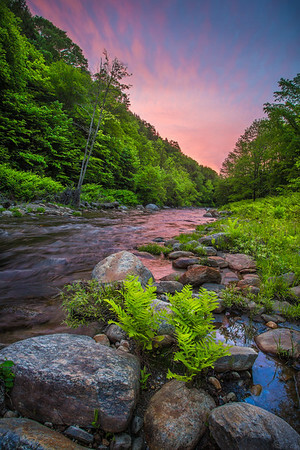 The Saxtons River (really a stream here) on a perfect June evening between Grafton and Cambridgeport, Vermont. 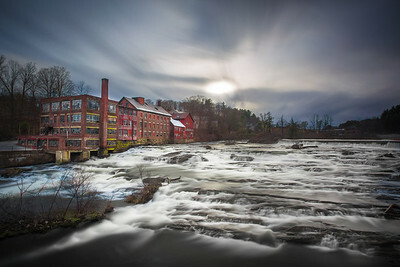 The latent Parks and Woolson building overlooking a section of Comtu Falls in Springfield, Vermont. 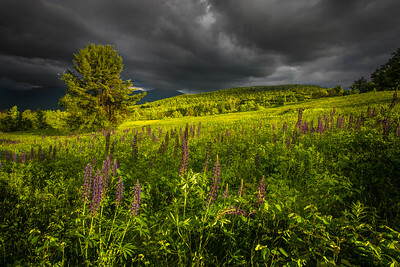 Lux Candida. 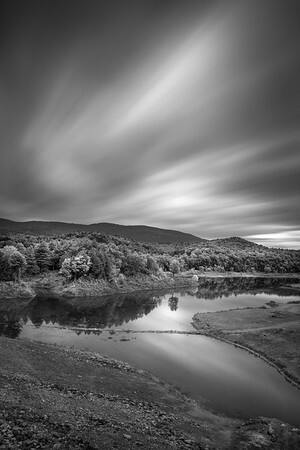 North Springfield, VT.
Black and White edit of one of my favorite long exposure images. 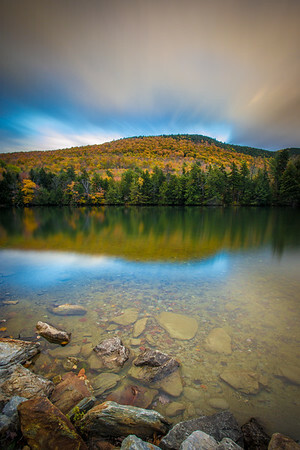 Long exposure taken at Lake Amherst in Plymouth, Vermont. 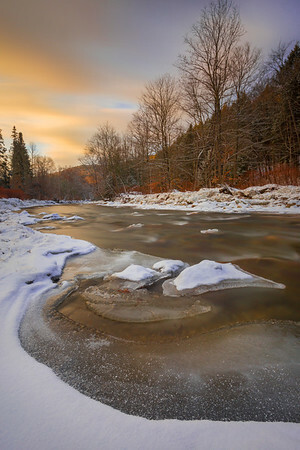 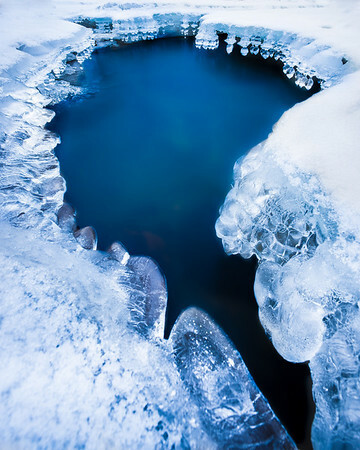 This is a small section of the Saxtons River (really a stream at this point) where the constant freezing and thawing had left a beautiful pattern in the ice along the edge of the water, resembling clear crystal hanging from a chandelier. 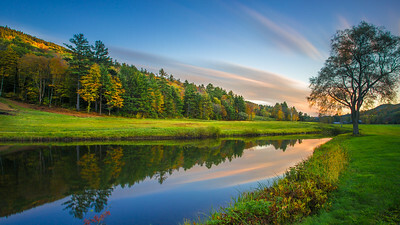 Taken in Grafton, Vermont. 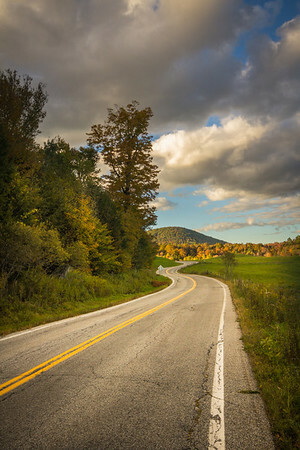 Taken near the Grafton Village Cheese facilities in Grafton, Vermont. 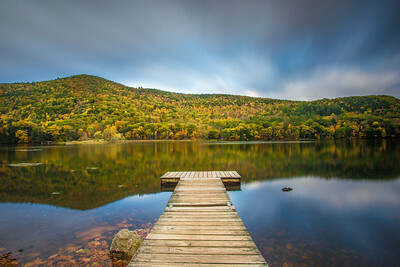 Taken at Lake Amherst in Plymouth, Vermont. 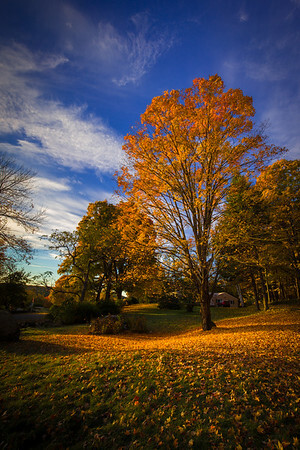 This was about as quiet and peaceful an autumn evening as I can imagine.